Loyalty sector embraces digital communication to drive member engagement. Points, rewards, moola and miles… nearly every retailer, mobile provider and bank is offering a loyalty program of sorts, making it increasingly challenging for individual programs to stand out from the ‘noise’. Not having a loyalty offering makes it hard to compete against those with similar products and services that do offer rewards. Loyalty programs (especially in retail) have solved a major issue for marketers by providing otherwise unattainable information about customers and their buying behavior. Sibbald says the key to a successful loyalty program is effective, targeted communication and this is where digital communication plays a significant role. Many of the top loyalty brands including – FNB’s eBucks and Clicks ClubCard – have found that by embracing the power of digital communication, they are able to enhance loyalty and lifetime value by sending highly personalized, targeted messages to their loyalty members. Ntombi Tisani, Executive: Member Experience at eBucks, FNB’s highly successful loyalty and rewards program, had the following to say about the goals and benefits of a rewards program, “You have to retain the interest of a diverse audience, making it essential to be innovative in how members earn and spend rewards. Using triggered digital communication campaigns, eBucks targets specific groups with appropriate messages to maximize the potential value for each member. Sibbald explains that loyalty programs have different outcomes for each program owner and may even mature or transform over time. “Communication is key, not only to encourage members towards the desired behavior (earn, spend, engage) but also to build what is perhaps the most valuable asset of a loyalty program – information,” explains Sibbald. David Hazell, Customer Marketing Executive for Clicks concurs, “The objective of a loyalty program may seem obvious – to drive sales and reward loyal customers, but the most valuable contribution of a loyalty program is closing the information gap between the retailer and its customers. The Clicks ClubCard program provides invaluable insight into customer preferences and buying behavior. This knowledge is crucial to our marketing efforts”. 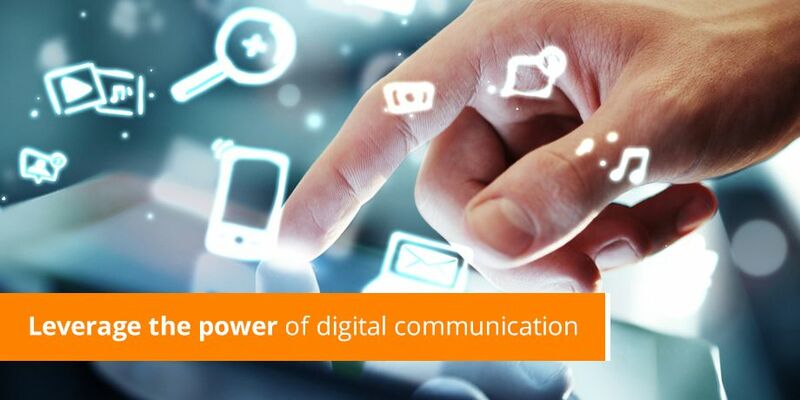 Digital communication enables a framework based on pre-determined communication triggers. This can be automated and should include the basic messages that apply to all members. Targeted, tactical messages can be sent to customer groups based on stated preference or recorded behavior to elicit a specific response. Electronic media presents the ability to be flexible and nimble through testing and refining mid-campaign to achieve the best possible results. Digital channels provide a cost effective method of asking for customer feedback – before, during and after their engagement with your product/program. “The Loyalty industry is leveraging the power of digital communications by engaging with their customers in a targeted and relevant way. This binds organisations to their customers throughout the customer lifecycle in the most effective, efficient and interactive manner,” concludes Sibbald.